Employees at a Cheesecake Factory in Miami allegedly made threatening gestures and verbally attacked a black man for wearing a "Make America Great Again" (MAGA) hat. The attack took place Sunday at the Cheesecake Factory outlet inside Dadeland Mall when 22-year-old Eugenior Joseph was dining with his girlfriend's family. 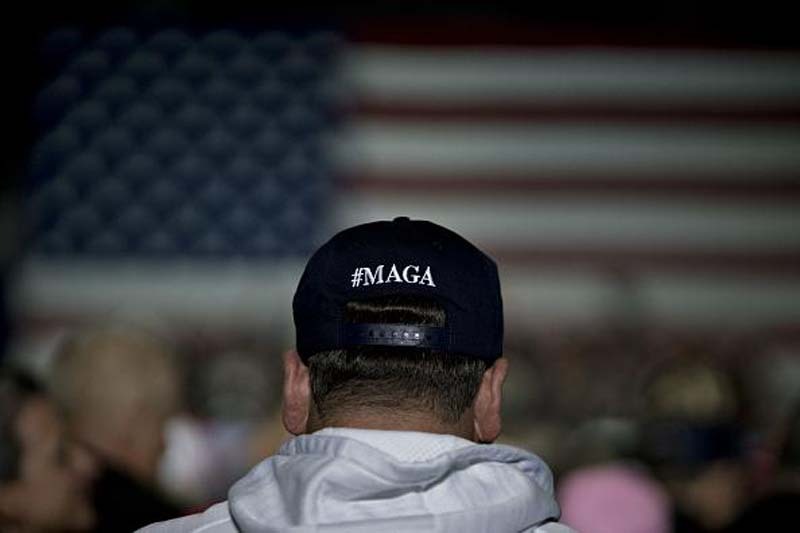 According to the victim’s account, a woman employee of the outlet walked up to him, pointed at his MAGA hat and signaled the other employees to come over. A witness said they had no clue of what was happening, and the employee’s finger was literally on top of the victim’s head. “She was pointing at him, calling her other co-workers, telling them to look at this guy wearing a Make America Great Again hat,” the witness said, the Daily Wire reported in an exclusive. A dozen or so employees joined her at the table and started making statements about the hat. Some even said they wanted to punch Joseph in the face, the witness recalled. "So then all the employees started standing there, saying things out loud, like, 'I'm going to knock his head in so hard his hat is going to come off," the witness added. Another witness said the employees gave Joseph intimidating looks and made hand gestures to indicate they were ready for a fist-fight. The employees looked like a lynch mob and couldn't stand to see a black man wearing a hat that showed support for the president, the witness added. Other witnesses also alleged some of the employees referred to him as a "n**ger" in their conversations. They went on to say as the family exited the restaurant, the manager followed them out and told them some of the employees admitted to their actions and a staff member was sent home. Joseph told the Daily Wire, during the incident, two employees walked up to him and stood behind him. They were then staring at each other and one of them fist bumped him. They also tried to scare him by smacking their fists. "I got up and went to the restroom, my girlfriend followed me, and as we were walking back, a group of the employees came out from the back and they just started clapping and yelling, and just screaming things at me," Joseph said. According to a witness, the police documented the incident in a report but supposedly did not file any charges.